<firstimage=”//static.makeuseof.com/wp-content/uploads/2008/07/pdflogo.png”> The Adobe PDF format is one of the most common document formats in the world today. It is versatile, portable, and allows for the creation of professional looking digital documents. MakeUseOf has an entire section devoted to PDF guides. E-books are also often distributed in PDF format. However, while PDF is extremely common, it isn’t universal. There are some devices, such as some MP3 players The 3 Best MP3 Players For Portable USB Drives The 3 Best MP3 Players For Portable USB Drives Read More , that don’t support PDF files. It is also not possible to view PDF files on a computer unless you download and install the PDF viewer software. Usually you’ll do this on your own computer, but you may not be able to on a public computer. If you are in a situation where you’re using a device that can’t open PDF files, you can try to work around the problem with a tool that convert the PDF to a SWF (Shockwave Flash) file. 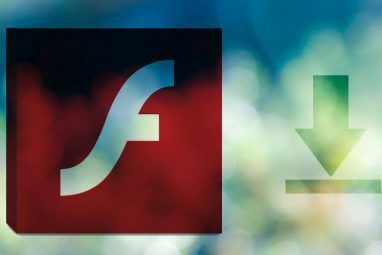 Flash files can be opened by any web browser that has Flash installed and many portable devices. To do the conversion however, you’ll need to use conversion software such as PDF2SWF, one of the many tools made available by SWFTools. At first, converting a file with PDF2SWF seems very simple. However, there are many options that you can set using PDF2SWF. These options are important to how your converted file can be viewed and will also determine what devices the SWF file will play on. Open the options window by going to Edit and then Options. For now we are going to ignore the quality tab that pops up first and instead take a look at the viewer tab. A SWF file is, in its raw form, not useful as a means of viewing a document. There is no built-in way of zooming in or out or moving from one page to the next. To add this functionality you need to select a viewer. The viewer is added on to your new SWF and mimics the function of a PDF reader. There are four options available in PDF2SWF. The most simplistic is Simple Viewer. This viewer has minimal impact on file size and provides two small buttons for moving from one page to the next. One step up is the Technoargia viewer. This viewer includes the options of Simple Viewer and also lets you specify the width and height of the viewer and the zoom level at which the viewer will operate. The most complex viewer is RFX viewer. This option adds the ability to scroll and zoom. Finally, you can choose to export the SWF in a raw format, although this is only advisable if the device you’re using has a built-in SWF viewer. Once you have selected the viewer you want to use you’re ready to convert. Go to File and then Save SWF. You can choose to either save the entire PDF or a single selected page. Viewing SWF files can be tricky on some devices. For example, the reason I originally looked into this was because I wanted to bring a specific part of my D&D 4th edition book to a game rather than the whole thing. However, the device I wanted to carry the file on – my Samsung P3 – wouldn’t play the SWF file. I eventually found out that this was because of the settings I had selected. First, let’s talk about the viewer settings. If you select the RFX or Simple viewer you will also have the option of selecting the version of Flash that you want the viewer to use. I had to choose Flash 8, because that is what my device supported. You may also have to adjust the quality settings. Open the quality options by going to Edit and then Options. Set the Rendering Mode radio button so that all parts of the PDF are converted to a bitmap. This will solve compatibility problems on many devices. If you are trying to display a large SWF file, you might need to reduce the Resolution and JPEG quality options. This will make the SWF file size more manageable, which can in turn make using the SWF file a smoother experience. Having played with the settings, I was able to successfully place specific parts of my D&D 4th edition book onto my Samsung P3 player. 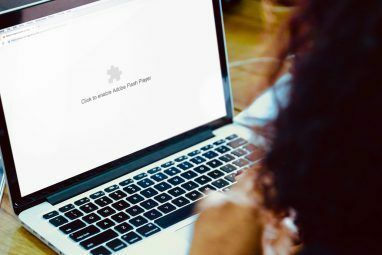 If you’re only planning to use SWF conversion as a means of side-stepping the need to install a PDF reader on a machine you’ll find that PDF2SWF is a breeze to use. If you’re trying to use it to display PDF documents on a Flash-enabled mobile device, you may have a harder time. Often the support forums for your device will have advice on the settings you need to use to play SWF files. Explore more about: Adobe Flash, PDF. Transforming your PDF materials into fully interactive flash e-Brochure becomes easier with page flipper online service. No need for additional software and conversion is so simplified that even people who don't use Internet often can use it effectively. As a common user, you can visit http://www.axmag.com This site features in converting PDF to Flash format with page flip effect. Both online conversion and offline software solution are offered, and the online service is free. thanks, wish I stumbled upon this article about a month ago.